Since the autumn of 2015 owner/operators Chad and Laurel have been bringing a new flavor of enjoyment to the culturally rich Williamsburg area. 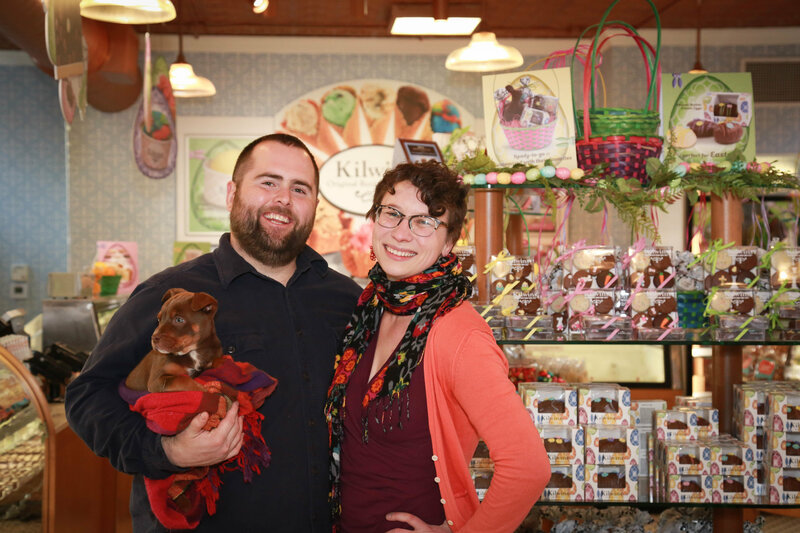 Kilwins Williamsburg serves up fun to residents and tourists alike. Come enjoy our warm customer service as we dip caramel, paddle fudge, craft confections and serve delicious original recipe ice cream.